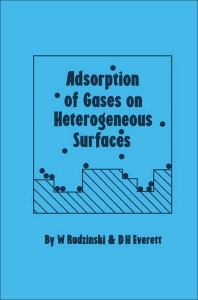 All real solid surfaces are heterogeneous to a greater or lesser extent and this book provides a broad yet detailed survey of the present state of gas adsorption. Coverage is comprehensive and extends from basic principles to computer simulation of adsorption. Underlying concepts are clarified and the strengths and weaknesses of the various methods described are discussed. Basic Principles. The Empirical Adsorption Isotherms. Calorimetric Effects in Adsorption. The Interpretation of Empirical Isotherms in Terms of Surface Heterogeneity. Ideal Monolayer Adsorption on Heterogeneous Surfaces. On the Nature of the Heterogeneity of Real Solid Surfaces. Low-pressure Adsorption and the Virial Description. Mobile Monolayer Adsorption with Lateral Interactions. Localised Monolayer Adsorption with Interactions between Adsorbed Molecules. Multilayer Adsorption on Heterogeneous Surfaces. Numerical Methods of Evaluating the Adsorption Energy Distribution. Multisite Occupancy Adsorption on Heterogeneous Solid Surfaces. Computer Simulation of Adsorption on Heterogeneous Solid Surfaces. Index.